When it comes to space-saving, transformable furniture, no one has a better eye for curating it than Ron Barth and his Resource Furniture distribution company. 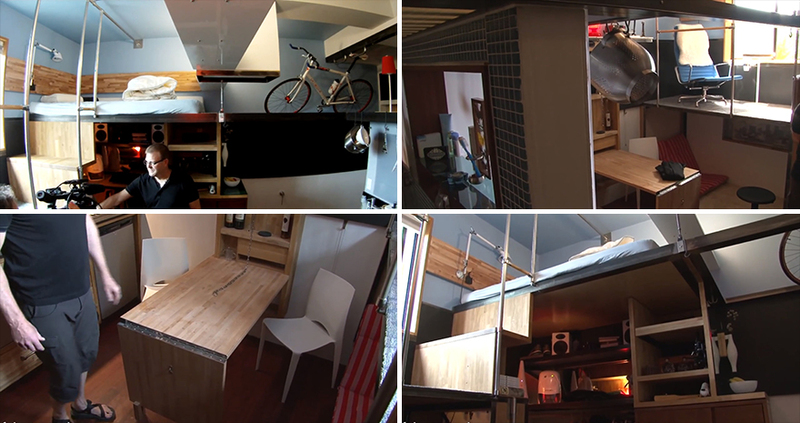 This year we got a take a look at video of their Transforming Micro-Apartment, sited at the Museum of the City of New York. 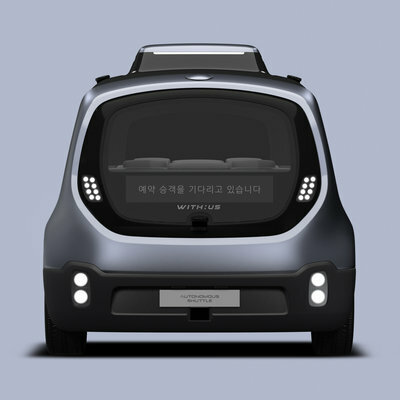 Loaded up with cleverly-designed pieces by Italian manufacturer Clei, the 325-square-foot "Launchpad" boasts more functionality than places three times the size. On the other end of the spectrum in space-saving, we saw Seattle-based Steve Sauer's self-designed, self-built Pico Dwelling Micro-Apartment. 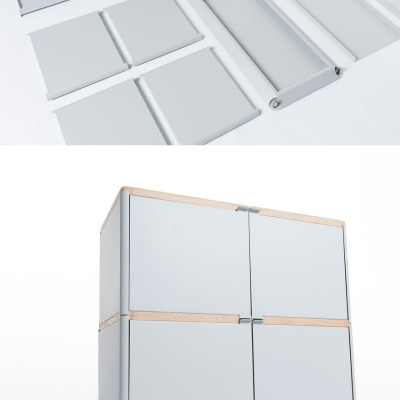 Engineer Sauer sought to turn a virtually unlivable 182-square-foot storage unit into a home in its own right, and we have to say the Ikea-hacking bike nut pulled it off admirably. Ricardo Freisleben Lacerda's Space-Saving Table and Breakdown Closet were also big hits with readers. 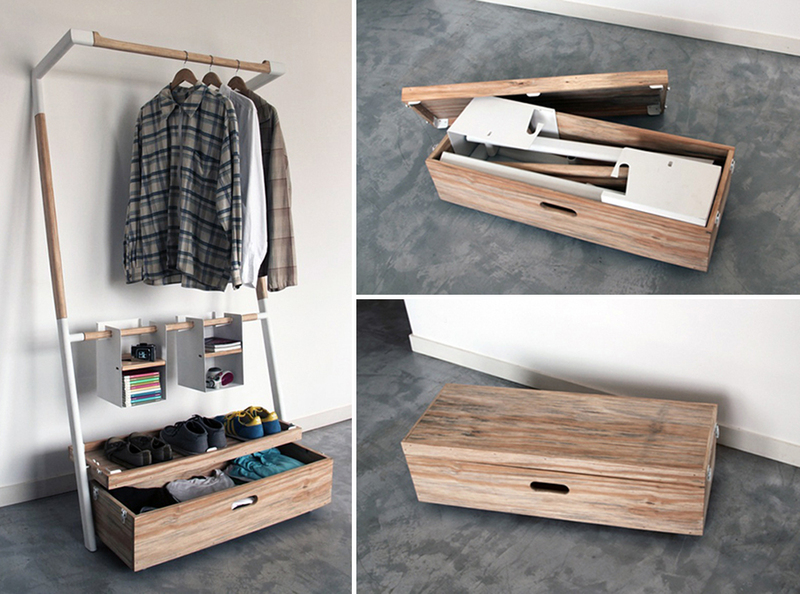 Coroflotter Lacerda is a Brazil-based industrial designer, and his Gaming Table and Nomad Closet, as they're officially called, are clever exercises in doing more with less space; and the Nomad Closet wins extra points for both breaking down into a tidy box and coming together without the use of tools. Mikael Jorgensen's custom UMJ-1 Keyboard Stand was also a large draw. 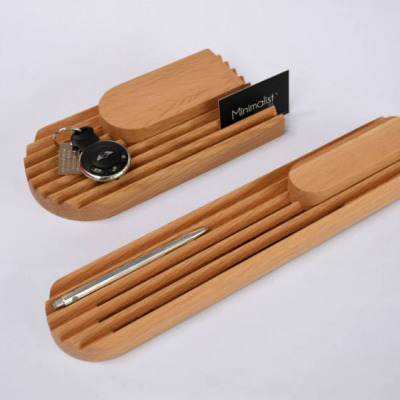 The Wilco keyboardist teamed up with UM Project's François Chambard to design the ultimate traveling keyboard stand, which is both height- and angle-adjustable and yet breaks down into a standard-sized keyboard case—including seating to boot. 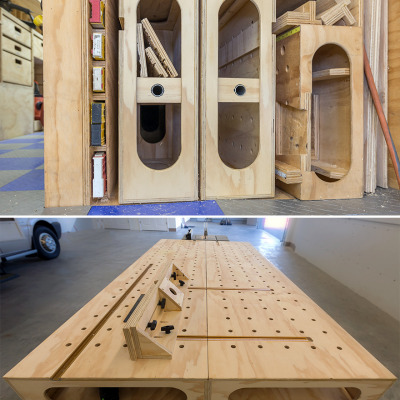 A very different type of keyboard-based furniture is this standup piano that's been hacked into a hideaway workbench. Instructables user Phish814 wrote out an exhaustive tutorial detailing every step of turning this defunct beast into useable tool storage, and he cleverly racked up a zero-dollar cost by selling the unusable cast iron parts for scrap. 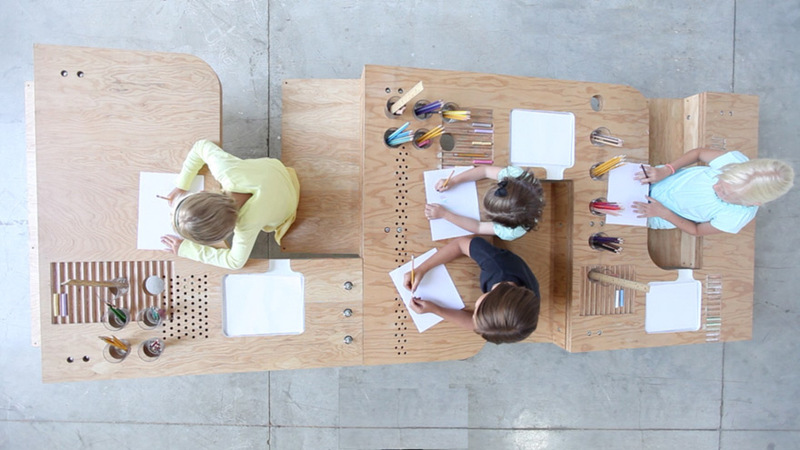 The Growth Table, by L.A-based architects Tim Durfee and Iris Anna Regn, doesn't shift its parts via hinges and moving panels, but it certainly transforms along its twelve-foot length. The conceptual piece, intended as a table for drawing, is meant to accommodate all ages from toddler to adult in order to create "an instant and intergenerational community united by the simple act of drawing." 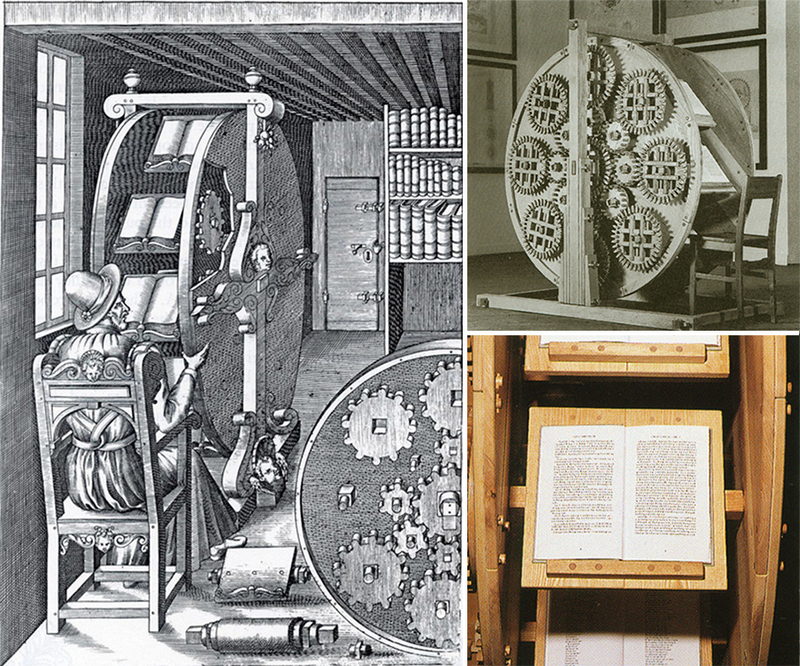 Another massive piece of furniture, this one designed during the Renaissance, is Agostino Ramelli's Bookwheel. This gargantuan mechanical book server was reportedly never realized by Ramelli himself, but in the 1980s architect Daniel Libeskind knocked it off (or had his students do so) and gave it a different name. And bizarrely, it was reportedly destroyed by terrorists. Read the full, very weird tale here. 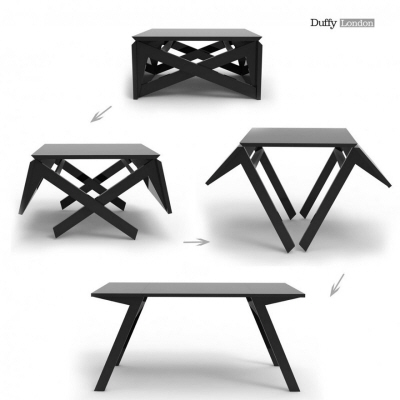 As for the craziest piece of transformable furniture we saw all year, it's a dead heat between the following two objects. The first is the Human Hoist Ultimate Power Shop Chair. Originally designed for mechanics, this nutty contraption goes from shop chair to under-car creeper in mere seconds; the video really must be seen to be believed. 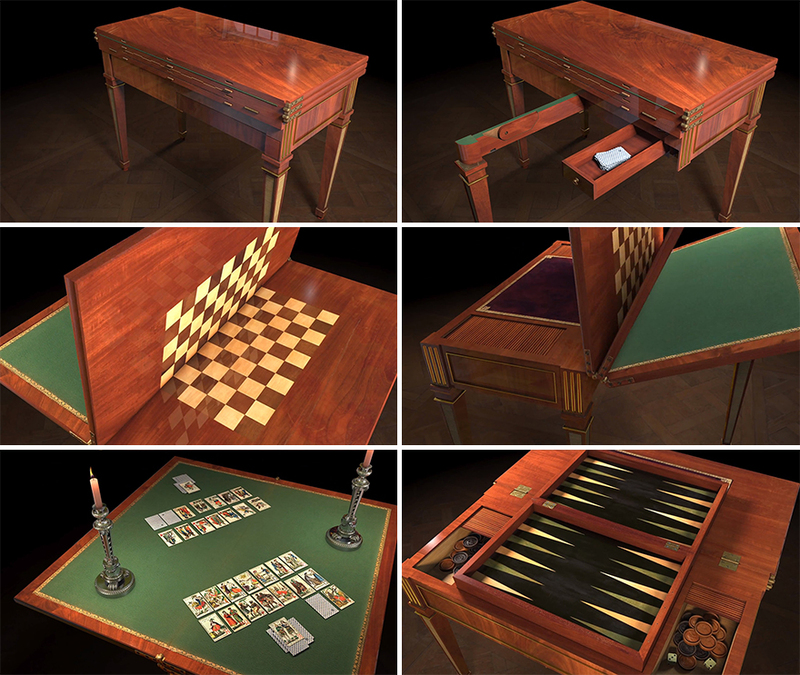 Neck and neck with that piece is an 18th-Century one, David Roentgen's unbelievable Transforming Gaming Table. Mechanical genius Roentgen, who hailed from Germany, was Marie-Antoinette's appointed Cabinetmaker Mechanic, and as with the Human Hoist, his creation must be seen in video. 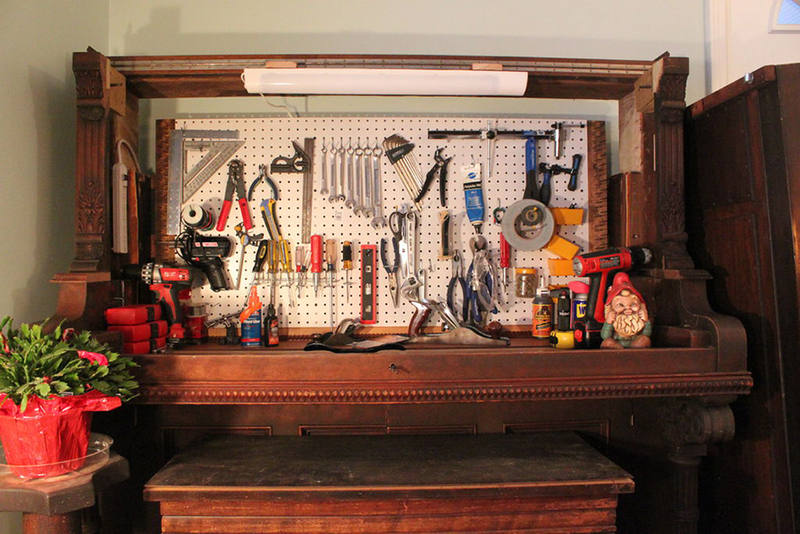 Amazing to think he did all of that with hand tools! With that router you got for Christmas, you have no excuse.